Trading as Aldwinckles for over 30 years, with the current owner for 13 years. 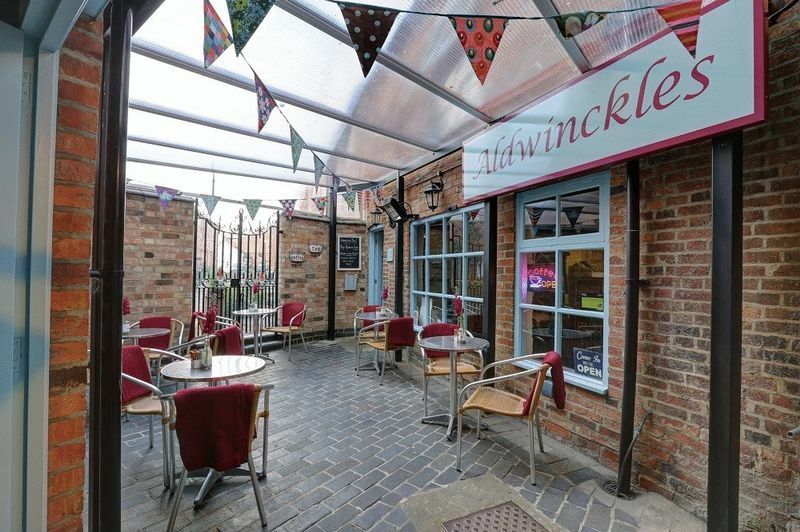 This well-established Coffee Shop is in one of the last “yards or tofts” in Market Harborough, a hidden treasure (known as Harborough’s’ Little Secret) a safe and tranquil location. They offer home baked cakes, renowned Eccles cakes, famous fruit scones and cheese scones, hot & cold sandwiches, savoury tarts, jacket potatoes, salads and much more. Coffee is from a local Artisan Roaster who uses single origin beans and his own blends. There is are selections of speciality lattes, leaf teas and Italian Hot Chocolate. The produce used is sourced locally. They are proud of a “top” rating on food & hygiene and are a leading member of Taste Harborough. They do a small amount of take way food, which has the potential to expand. 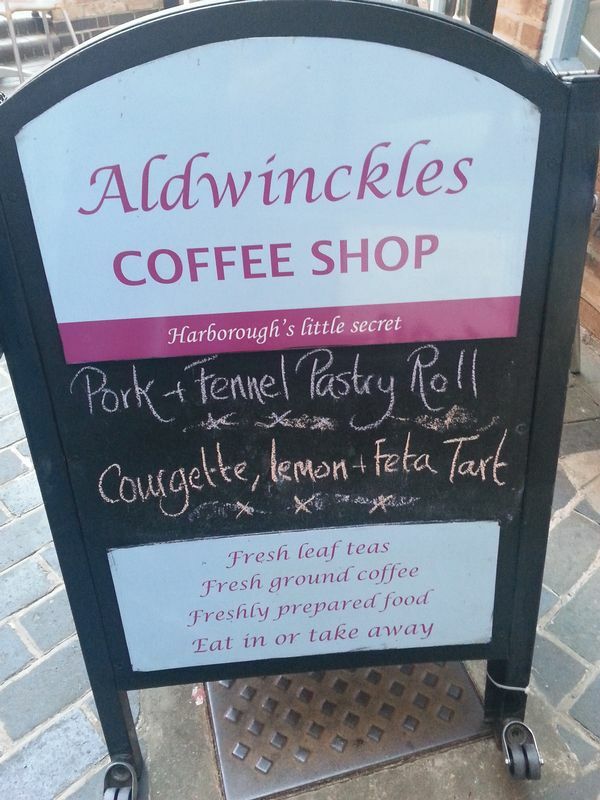 The coffee shop attracts strong local regular trade as well as visitors and tourists to the historic Market Harborough. View premises on Google+ Premises: Secluded and tranquil location, via a passageway from Church Street and opens into a covered court yard with a small array of tables, say 14 covers. There is outside lighting and a wall mounted heater. The premises are around 36 sqm plus the outside courtyard. Ground Floor – comprises of small serving area, Jura Bean2Cup coffee machine, 10 ltr Marco Water Boiler, Milk Fridge, Ambient Display Cabinet, under counter Fridge and seating for 13 covers. There is a storage cupboard with tall Fridge, tall Freezer, chest Freezer and storage space. First Floor – stairs leading up from ground floor to a seating area with 11 covers and the kitchen. The kitchen equipment includes Merry Chef Turbo Oven, 2 x Microwaves, 2 x under counter Fridges, Large Dualit Toaster, Blendtec Blender and a Fujitsu Air conditioning unit. Tenure: Leasehold – new lease available, can be from 3 years to 15 years. Current rent – £12,000 pa + £1,300 management charges Lease term and charge is negotiable Each party to be responsible for their own legal and professional fees, but the purchaser should note that they will be responsible for the Landlords reasonable legal costs in connection with the preparation of the Licence to Assign/New Lease. Hours: 9am – 4pm Monday to Saturday 10am – 3pm Sunday (just recently opened on Sundays and business has been positive). 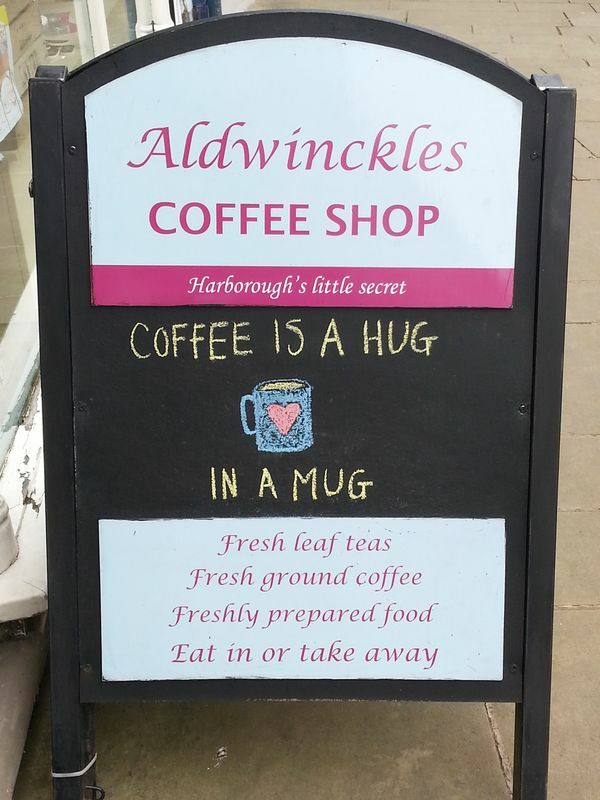 There is a local walk that starts and ends at Aldwinckles which was adopted by the original owner of the coffee shop and has proved popular with those who have walk the walk and enjoyed the refreshments at the end. Staff: 1 Full Time (Manager) 1 Part Time (makes the cakes) 1 Part Time (owner) 4 Week-end Casual (flexi hours) Only 2 staff work during weekdays, Manager +1 The business has been run as a lifestyle venture, the new Sunday opening has started to attract visitors with both the Aldwinckles walk and Taste Harborough helping to promote the coffee shop. There is the potential for new owners to expand the possibilities of outside catering and the take away business. The coffee shop is well supported locally and attracts regular visitors and tourists.